Wales' Chris Gunter during a training session. Neil Taylor has missed a date with pop star Beyonce while team-mate Chris Gunter may have to skip his brother’s wedding to pursue Wales’ Euro 2016 dream. Gunter is in danger of missing his brother’s Mexico wedding, but Taylor has already had to sacrifice an engagement 24 hours ahead of Wales’ quarter-final with Belgium in Lille on Friday. “I just saw Beyonce, Cardiff, and thought that would be great,” said Taylor. “I didn’t even look at the dates. “My wife said the tickets came through the post and said: ‘It’s the 30th Neil, that’s four days’ time’. “I said, ‘okay, that’s a bit of a problem’. “She is probably coming to the game so will have to miss it as well. Gunter’s problems are causing more of a family headache as his brother Marc, a huge Wales fan, set off for Mexico yesterday ahead of his wedding next week. It is a ceremony the Gunter clan will miss if Wales beat Belgium and make it to the semi-final, with parents Gerald and Sarah choosing to stay in France rather than travel to Central America. “It’s caused chaos – you wouldn’t begin to imagine the trouble it’s caused,” said Gunter. “But it’s his own fault. He’d been to every game and he hasn’t been in work for a month. You speak to my parents and they’re fuming. Wales, however, hope their Euro 2016 party goes on for some time yet. Familiar foes Belgium are now standing in their way with Wales unbeaten in three games against Marc Wilmots’s side. Wales won the last meeting 1-0 in Cardiff to make a nation believe they could reach Euro 2016 and end a 58-year wait for a major tournament. 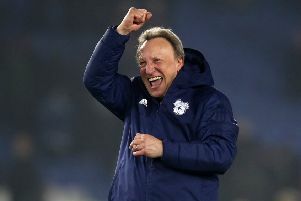 “I’ve played in stadiums with bigger attendances, but that night at the Cardiff City Stadium, the atmosphere for the last 10-15 minutes was amazing,” said Taylor. “We put in a hell of a shift, the fans lifted us, singing the national anthem.